Eric Klinenberg is Professor of Sociology and Director of the Institute for Public Knowledge at New York University. He’s also editor of the journal Public Culture, and an affiliated faculty member of the Wagner School of Public Service and the Department of Media, Culture, and Communications. Klinenberg’s latest book, Palaces for the People: How Social Infrastructure Can Help Fight Inequality, Polarization, and the Decline of Civic Life, suggests a way forward. Klinenberg believes that the future of democratic societies rests not simply on shared values but on shared spaces: the libraries, childcare centers, bookstores, churches, synagogues, and parks where crucial, sometimes life-saving connections, are formed. Richly reported, elegantly written, and ultimately uplifting, Palaces for the People urges us to acknowledge the crucial role these spaces play in civic life. Our social infrastructure could be the key to bridging our seemingly unbridgeable divides—and safeguarding democracy. Klinenberg’s first book, Heat Wave: A Social Autopsy of Disaster in Chicago, won six scholarly and literary prizes and was praised as “a dense and subtle portrait” (Malcolm Gladwell, The New Yorker), “intellectually exciting” (Amartya Sen), and a “trenchant, persuasive tale of slow murder by public policy” (Salon). A theatrical adaptation of Heat Wave premiered in Chicago in 2008, and Judith Helfand is directing a feature documentary based on the book. Professor Klinenberg’s second book, Fighting for Air: The Battle to Control America’s Media, examines the how media consolidation and the rise of the Internet have transformed culture, journalism, and democracy. Since its publication, he has testified before the Federal Communications Commission and briefed the U.S. Congress on his findings. Klinenberg is currently leading a major research project on climate change and the future of cities. Part of this work involves a sociological investigation of Superstorm Sandy and the challenge of adapting to the emerging age of extreme, dangerous weather. “Adaptation,” the first article from this research, appeared in the New Yorker in 2013. 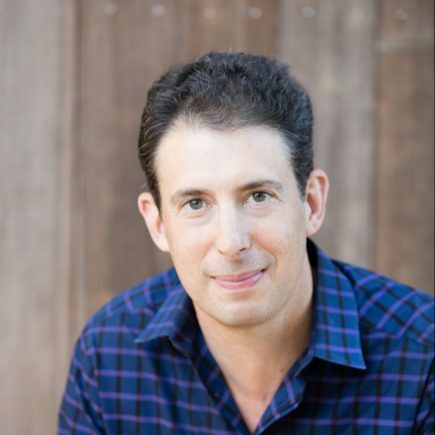 In addition to his books and scholarly articles, Klinenberg appears often on public radio and television, and he has contributed to popular publications including The New Yorker, The New York Times Magazine, Time, Fortune, Rolling Stone, The London Review of Books, Le Monde Diplomatique, and the radio program This American Life. At NYU, Professor Klinenberg teaches courses on cities, climate change, culture, and media, as well as graduate seminars on research methods, ethnography, and urban design.